Apple this morning announced that it has sold over 1.7 million of the iPhone 4 through Saturday, June 26, three days after its launch on June 24. The company went as far as to call it the “most successful product launch in Apple’s history”, citing its iconic chief executive Steve Jobs. Bloomberg had predicted Apple would sell over 1 million on launch day alone, but the Cupertino company has not disclosed sales numbers for June 24 specifically. Just for your reference: it took Apple 28 days to sell 1 million iPads, 59 days to sell 2 million of them and 80 days to sell 3 million. Jobs also says in the press release announcing the first iPhone 4 milestone that he’s sorry about “all those customers” who were turned away because the company did not have enough supply. No word (yet?) 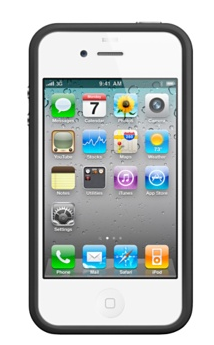 on the antenna issues that continue to plague a subset of iPhone 4 owners.